Words by Kevin Doocey on April 27, 2014 . As both the Premier League title race and relegation fight at the bottom of the table both take another turn towards a fascinating finish, it throws up even more interesting propositions for clubs already safe and indeed ultimately with nothing to play for. At this stage in the season, all professional, well run clubs will be already eyeing up potential summer transfer targets ahead of the 2014⁄15 campaign, and glances will have been cast towards squads currently in the bottom three. Cardiff City, Fulham and indeed Norwich City all make up the dreaded places after an enthralling weekend of action in the league. Sunderland recorded a solid 4-0 victory over the struggling Welsh outfit in what will likely prove a victory that will have saved SAFC’s EPL status. With that said, let’s have a look at what players NUFC could be eyeing up from the trio of sides in the drop zone. I have narrowed a potentially large list down to three main candidates in my book, with each of them covering outfield positions. Here goes.. I wrote a piece a few weeks ago on why Newcastle should look at Caulker, and despite his side’s woeful defending in Sunday’s defeat to Gus Poyet’s men - I still believe he in a very talented centre-back. 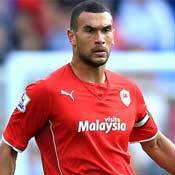 Caulker has netted various times this season in a poor campaign for the Welsh side, and at 22 he is only starting to come of age. Powerful in the air, and defensively aware (no rhyme intended), the Englishman would represent a good signing for a Newcastle side who’s defense has been rather suspect to say the least in the last couple of seasons. With Fabricio Coloccini’s future still up in the air and Steven Taylor, well, quite frankly not good enough - an offer for Caulker should be a priority this summer. If any football fans watched the U21 European Championship held in Israel last year they will have noticed the performances for a certain Leroy Fer. Just 24 - Fer caught the eye of a number of top clubs last summer, but oddly enough only Norwich City were brave enough to try their luck with the midfielder. Although the Canaries’ fortunes have taken a turn for the worst and they look set for the drop, Fer has shown glimpses of ability this season, with a few goals to his name as well. The midfielder - alike Caulker - has serious potential, and considering the Norfolk outfit may need to raise funds this summer, it is rather unlikely that the ex-FC Twente midfielder will want to ply his trade in the lower divisions next season. I would be interested to see what kind of fee could be negotiated. Whether NUFC get involved in his bidding process is a different matter, but you can be sure there will be a number of club sniffing around him come July. When Olympiakos announced that Mitroglou was to depart Greek shores for the hustle and bustle of London, it surprised many European football followers. The Greece forward had been in fine form for the Champions League side and looked to have suitors of a higher standing that Fulham, however; £12m landed the 26 year-old and he looked set to be Fulham’s sole hope of Premier League survival. His career with Fulham has never really materialised and he has only managed two appearances since his move with injuries preventing him from making an impact. However, don’t be fooled by his lack of action at Craven Cottage, this guy is a good finisher. Aerially he is a threat as he proved for Olympiakos on many occasions, and his positional sense is what it should be for a striker. The Cottagers are unlikely to get their £12m back for him, but since we are in desperate need of a goalscoring striker at St. James’ Park - he is worth a look at should they drop to the Championship in the coming weeks. So, those three are just an example of what kind of players could be on offer in the summer. 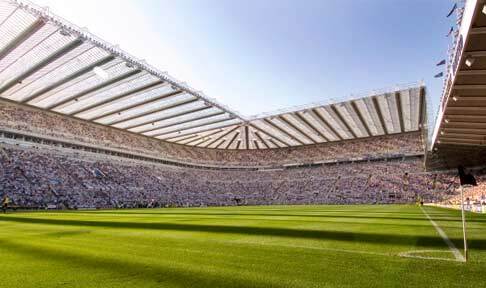 Newcastle are rumoured to be eyeing early business this coming transfer window, so I’d like to think at least one of the above are on the wishlist, although Caulker is the more likely candidate providing Cardiff are willing to negotiate. There are other contenders such as Ricky van Wolfswinkel who has been a long-term target under Graham Carr, although he hasn’t raised his profile since joining the Canaries either. Nathan Redmond is another man with great potential at Carrow Road, but he would likely stay put should the club - and it is looking likely - be relegated. Anyway, what’s your thoughts on the above? Comments in the section provided. As a Norwich fan I read this article fully expecting to see Robert Snodgrass' name. He's the only player I'm really bothered about losing if (when) we go down... okay, I'd probably be upset about losing Ruddy too, but it should be easier to replace a GK. You're more than welcome to Redmond - you can have all the pace in the world, but it means jack if you have no end product. His crossing is appalling and far too often he makes the wrong decision in the final third. I was excited by his potential early on, but lately I've grown tired of his making the same mistakes again and again - he's not improved over the course of the season, and for a young player that is disappointing. You hit the nail on the head with Fer - he has flashed glimpses, but that's all. For me, he looks great when the rest of the team is playing well but all too often he has gone missing when it is not. At the elite level you really want your midfielders to be players who can pull the team along with them when they are up against it, and Fer has done no such thing this season. Not sure what happens with Ricky, I expect a move back to the continent beckons, but if we can't find somebody to sell to there's a chance he has to stick around in the championship - that will be interesting! Surely he'll find a goal or two at that level... right?? Good luck to you guys next season - got my fingers' crossed we'll be playing you, but I'm not counting on it!! Thanks for the insight, Paul. I'm interested to hear about Redmond, I do think he has great potential with the right coaching - but only time will tell with that. Snodgrass is a worthy mention and one which I did consider mentioning. He'll likely have plenty of suitors in the summer, who knows, we might be involved. Agree about van Wolfswinkel, he'll probably garner a move to Spain, or somewhere along those lines. I do think he is a talented player though, just hasn't shown such this season. Thanks for the kinds comments regards next season - maybe your lot at Carrow Road can inspire the lads to one more big victory, who knows. Either way, best of luck next season, irrespective of your division. 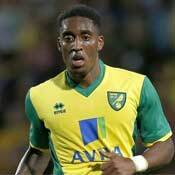 Please take Leroy Fer - one of the laziest players ever to wear the shirt. Van Wolfswinkel has potential but is an outdated type of player who needs to play with a target man which no-one does any more. Redmond is a headless chicken with no clue about a final ball. If these players were any good would Norwich be going down?